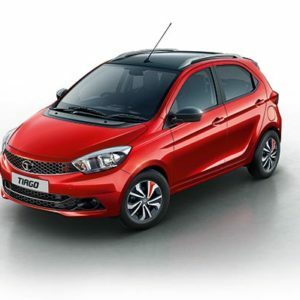 The Tiago is the result of Tata Motors efforts to catch up with its Japanese and Korean counterparts. The city runabout won a lot of praises for its looks, performance without any major hiccups and so on. Apart from that the Tiago gained popularity for its sturdy feel. The Tiago bridged a wide gap in Tata Motors line-up, sitting nicely between the cheaper Nano and bigger Bolt. We come across numerous online car reviews and posted below is one of them. The reviews are based on personal opinion and varies from person to person. Q) Is Tata Tiago one of the best cars ever made by Tata Motors ? As a Tiago user, After having used Maruti cars for nearly 15 years I got a Tiago around 4 months back. I purchased the Tiago XZ. Fog lamps, two air bags, rear wiper, alloy wheels, Harman Music system (simply superb), simply a superb car. The drive quality and stability is very good, as compared to any Maruti cars, excellent ground clearance, I even get a mileage of 29 KMPL on the highway. Now I got this car in August, 2 days later the petrol tank lid fails to open, went to the service station and got it fixed in 5 minutes. Week 2, boot door would not open using the lever, again fixed it. Week 3 passenger seat belt gets stuck and while opening the driver side door i can hear a cracking sound. Both problems fixed in a hour. Week 5, the driver side door lock knob pops up revealing the metallic wire inside. Fixed it. 3rd month, suddenly it shows low engine oil and engine makes a rattling sound. Now these are small problems but for a new car these are unacceptable. With Maruti I am sure such small problems are very rare for a new car. Tata needs to work more on such small issues. But all said i love the drive quality of my Tiago as compared to any other car in this segment and its a much better looking car than any in this segment. technwheelz does not take any responsibility on the reviews posted above. The above review is sourced from the link shared. Opinions vary from person to person and is always better to test drive and feel the car yourself.